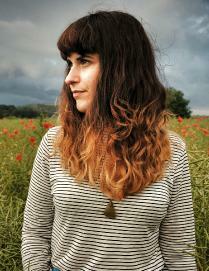 Harri Endersby is one of the many rising female stars of the folk music scene in the UK. We caught up with her ahead of her gig at Folk Weekend Oxford to find out what inspires her writing and what have been the biggest influences on her career so far. SF: Tell us about yourself and how you started playing traditional music? HI: Music has always been an integral part of life. My parents are very creative and musical people so it felt quite natural for me to start playing instruments at an early age. I was classically trained in violin throughout school, and then I began picking up instruments and playing them more instinctually through my teenage years. I wasn’t born into folk music but my love of it began in my late teens by going to local gigs and sessions, and I was immediately gripped by the magic of these traditional, storytelling songs and tunes. 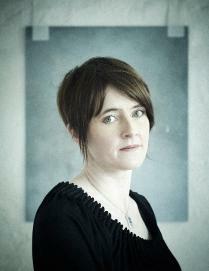 My music taste has always been pretty eclectic and that, I think, is reflected in my own music – but going to see artists like Bellowhead, Kathryn Tickell, Johnny Kearney and Lucy Farrell, and Carthy, Hardy, Farrell, and Young was hugely inspiring for me when I was starting to write my own songs and developing my style. SF: You sing songs about the countryside around your native Durham and other landscapes. Tell us how you get inspiration for your writing? HI: I spend a lot of time outdoors (with our wee black Labrador in tow) and I feel at my best when we’re roaming the hills, fields, and coast of our County Durham and beyond. I think there is so much benefit to leaving modern life behind for a while and just enjoying the beauty around us. I tend to write about the real highlights of life, whether that’s watching turquoise Hebridean seas, or throwing down our coats and running across Tynemouth sands. I find that songwriting is a good way of capturing and remembering the good stuff of life. SF: What track, album or artist has most influenced you so far in your career? HI: Looking back, the initial catalyst for my own songwriting was hearing one particular song performed at The Sage, Gateshead back in 2009. It was the end of year recital for the Newcastle Folk Degree students and one artist performed a rendition of Ger Wolfe’s ‘The Curra Road’. The lyrics are so gentle and beautiful that I felt immediately connected to it and was inspired to start writing. More recently, the biggest influence on my music has been Icelandic musician Ásgeir, who fuses acoustic instruments and pastoral lyrics about his native Iceland with heavily electronic beats and samples. This is a combination that really intrigues and excites me. Our recorded material – in particular our debut album Homes/Lives – was an exciting project for me as we developed it in a way that blends genre and is very loose-handed with style. SF: When I saw you live in Harwell, Oxfordshire last year you played mostly your own material, but you did sing excellent versions of ‘Wild Mountain Thyme’ and ‘Jolene’. Are you planning to include more covers or songs from the tradition on forthcoming releases? HI: I’ve absolutely loved playing ‘Wild Mountain Thyme’ at our recent gigs; there is something very special about singing a traditional song that people know and can sing along to – communal singing is a great joy of music. I’m quite new at arranging traditional songs but it’s exciting to learn about their rich history whilst also moulding them into something new. I’m currently crafting songs for a new album release next year and trying to a get sense for the album’s sound and direction, but I’m open to including traditional songs. Watch this space! SF: Where can we see you in the rest of 2018 and what plans do you have in the future? HI: We are kicking off 2018 with a few local gigs, and then looking forward to a mini spring tour along with festivals throughout the year, such as Oxford, Derby and Folk by the Oak. Our longer autumn tour will be in late September. All of our tour dates are on my website: www.harriendersby.com. The plan for the future is to keep gigging, writing and enjoying music as much as possible! Our first tour was back in November 2017 and it was the best experience. We met some absolutely lovely people and so enjoyed visiting new and exciting places to share our music with new audiences. We hope to do more and more of that!